If you have ever closed a YouTube video just because of its crappy audio, you’re not alone. Not many people are patient enough with videos which have bad audio quality unless it’s marked adult. Okay, I’m just kidding, but I’m dead serious about the importance of the audio quality in whatever type of videos you’re uploading to your YouTube channel. And, as you may already know, your audio quality mostly depends on your microphones’ quality. In this article, I divided it into two parts. If you want to get over part 1 and jump to part 2, please click here! Part 1: BEST Budget Microphone Reviews. I researched and picked out 10 Best Microphones Under $100 for Youtube videos among a bunch of mics on the market out there. They are all stunning candidates, but there are some different factors that make them outstanding and best suited to specific projects. Let’s check the list of 10 best mics under $100 for YouTube below, and see which one is the right one for you! Giant Squid Lavalier Microphone is one of the best Budget lavalier mic for YouTube videos. Honestly, I’m a pretty big fan of Giant Squid Microphone after using it mainly for my sister’s wedding. So for YouTubers who want to create outdoor contents such as prank videos, interviews, short films, I would highly recommend this lavalier microphone. Yes, this tiny lavalier mic has a 3.5-millimeter plug and the cable is about 5 feet long. Thanks to its features, Giant Squid is extremely portable and easy to hide under your clothes. Moreover, it sounds nice and crisp in the higher frequencies while keeping a great low range. And, last but not least, it’s durable and affordable. Note that using this mic the right way can help you improve the audio sound quality a lot. You can plug it directly into your cameras if they have a 3.5-millimeter input and cameras have a plugin power. This way, you don’t have to sync the audio with your video after. However, the secret tip here is whatever lavalier mic you have, don’t let it go straight into your camera because running it through a digital recording device with a nice preamp will give you better sound. For instance, my Giant Squid does sound much greater through the Zoom H1. After recording videos on my phone and audio on Giant Squid + Zoom H1, I always sync the audio and video with a video editing software. In case you want to avoid all of that extra work, you should get an affordable camera and plug the mic directly into the camera as I said above, but a Zoom H1 is always recommended. Note: The foam windscreen comes with Giant Squid Microphone block the wind effectively if you’re shooting outdoor but it’s easy to be lost, so be careful. When it comes to filming outdoor or in some special events, you will need to walk a lot with your microphone. Though there are a lot of cameras that are good for vlogging, most of them don’t have a built-in mic jack. A lot of time you need to record stereo sound but it’s not very easy to carry an omnidirectional microphone around. Plus, in prank video, you can’t hide a big mic like that. A decent wireless lavalier microphone is versatile but it may cost up to 5 hundred dollars. Fortunately, you can solve these problems easily with a recorder. So check the next one in the list of best mics under $100 for Youtube. The Zoom H1 is the favorite recorder of a lot of videographers. This recorder is very portable and can be used for many different situations. Thanks to two unidirectional mics that are facing each other at 90 degrees inside, the Zoom H1 is really a great alternative to an omnidirectional microphone. 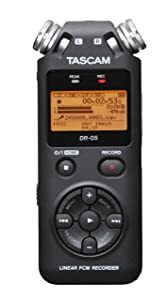 This microphone/recorder is absolutely good at recording stereo sound and you can take it anywhere you want to record even multiple speakers, that you can’t always do easily with an omnidirectional microphone. You can also use it as a handheld mic by putting a windscreen on this. The only disadvantage of this mic is it can’t block ambient sound so if you can’t set up an optimal recording space or film outside, choose this combo: Giant Squid + Zoom H1. As I said above, in my sister’s wedding, the Zoom H1 was put into the groom’s pocket while the Giant Squid’s on his shirt. You can’t go wrong with this great combination. Again, a reasonable lavalier microphone and the Zoom H1 can be a good solution in case you can’t afford for an expensive wireless mic or your camera doesn’t come with a mic jack. Some people believe that Zoom H1 has a better sounds than Tascam because they feel like Zoom H1’s sound is more “3D” than Tascam DR05. To me, Tascam DR05 basically sound the same to the Zoom H1. There’s a slight difference that it’s very hard to notice. You may need a very expensive pair of headphones to hear the difference. The biggest difference is the Zoom H1 has more functions than the Tascam, for example, you can use it as a USB Microphone. 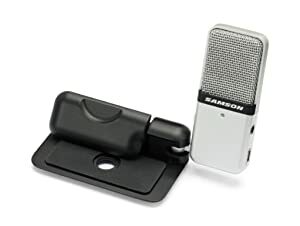 Samson Go Mic seems to be the legend of beginner mics for YouTube when a lot of people choose it for their channel. To be frank about it, Samson Go Mic is not a very good mic for recording while you’re standing, such as singing and playing instruments. Because you’ll need to clamp it onto something near you while performing and it’s not convenient at all. If you still want to use it for your vocal or any type of recording, just sit down near the mic, or you may need a boom arm stand like NEEWER. There 3 different settings you can use: omnidirectional, cardioid, and negative 10db. 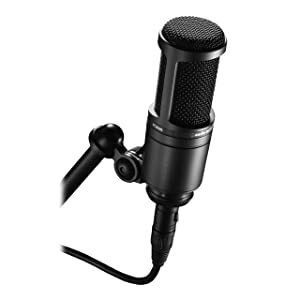 This mic is quite sensitive so just use a pop-filter to fix plosive sounds coming from /b/ or /p/ when you are recording. Overall, this microphone works really well for podcasts, Skype, webcam recording, gameplay, commentating, and review dubbing. 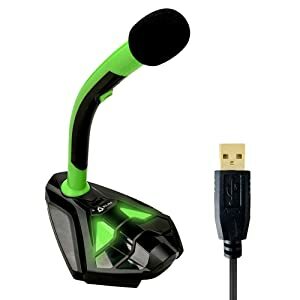 It’s a multi-purpose mic that you can travel easily with and it’s very affordable with a price which is less than most video games today. Personally, I highly appreciate Samson Go Mic for its portable size and shape of a wallet. When I tested this mic at my friend’s home studio for the first time, I was really impressed by its great quality and the beautiful design. 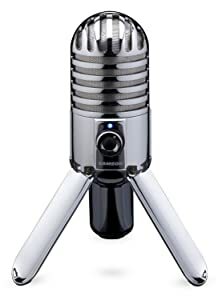 Then I just wondered why a gorgeous microphone like Samson Meteor was so cheap and I was surprised one more time when hearing that its price has really dropped nearly a half from 2011. This mic is super easy to use, just plug it into your computer and start recording. Besides, its price is super affordable and it’s worth every penny. Such a super deal! Samson Meteor Mic has a stunning design with three legs that can be adjusted to any angle to let the microphone sit as low as 4 inches tall. This mic has a cardioid polar pattern through a large 25mm condenser capsule which allows for a beautiful sounding flat output. The meteor mic surrounds the capsule with a dual stage grille to prevent wind noise and reduce the popping. The clarity of the recording is excellent and while it is very sensitive, you should you a pop-filter during recording sessions, it’s normal for any condenser mic. My friend told me that she has dropped it many times so I believe that this mic is very durable. Of course, I don’t recommend you to test it that way. Overall I rate this mic as an excellent tool for any YouTube channel and for any type of recording. In short, this microphone is the best starter microphone for YouTube. If you get started creating YouTube videos but don’t want to spend too much on a microphone in case things did not work out, this mic is definitely for you. As you can see it is quite compact and easy to use. Like Samson Meteor Mic, you just need to plug it into your laptop and it’ll work. Plus, the most important feature makes this product perfect for beginner YouTubers is its good quality sound. A very nice clean crisp sound with switchable recording mode! On the back of the Blue Snowball (Brushed Aluminum), you’ll see that it has 3 different switchable settings that fit different recording situations. 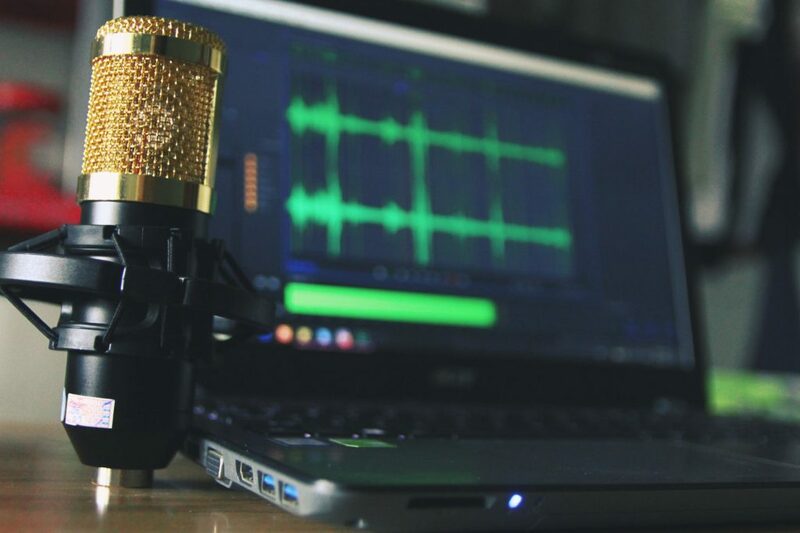 The setting number one is the cardioid mode which is mainly used for podcasts, vocals, voice-overs or anything that you’re speaking directly into the microphone. The setting number two is the cardioid mode as well but this has a -10 dB pad which means it helps capture louder sounds but keep the quality of it. So if you’re recording something loud such as loud music or instruments then choose this setting. 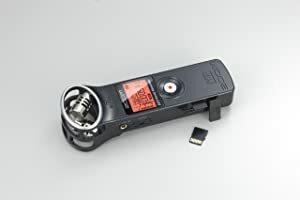 The setting number three is the omnidirectional mode which picks sound equally from all directions, and this is the best for if you want to capture all the sound in a certain area, if you’re in an interview or a conference. 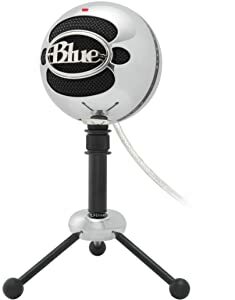 The only drawback when you’re recording with the setting number one is you have to get very close to the Blue Snowball (Brushed Aluminum) for a nice sound quality. And a pop-filter is a must-have item, always. Here we have another version of Blue Snowball: Blue Snowball iCE. There is a huge difference in their prices just because Blue Snowball iCE doesn’t have 3 switchable settings like Blue Snowball (Brushed Aluminum) does. It means it has only one setting that is most often used, the cardioid. If you are confused between these two mics, let me tell you that: the sound quality of both Blue Snowball iCE and Blue Snowball (Brushed Aluminum) are the same. And if you want to save like 10 bucks, go for Blue Snowball iCE. Note: This product is not compatible with Linux system. In this case, you might go for a Blue Snowball non-iCe. With a very tight budget, KLIM is a decent sounding microphone for YouTube that you should consider. 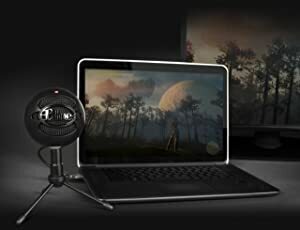 Although it’s not a good choice for recording instruments and vocal singing, KLIM basically helps improve your computer’s audio quality when you Skyping, chatting online, streaming, gaming, and live commentaries. In the range of mics under $100 for YouTube, I would recommend you Rode VideoMicro because it’s the most reasonable mic with the best quality. 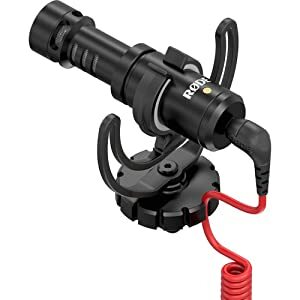 Rode VideoMicro is the most outstanding microphone among members of the Rode VideoMic family. While the sound from the onboard camera mic or your mobile devices is mostly robotic, you can really make the better sound quality with a Rode VideoMicro plug into them. Rode VideoMicro sound quality is even much better than in the VideoMic Go, which is nearly twice as expensive as VideoMicro. It’s combined with a Rycote Lyre shock mount and a deluxe furry windshield, powered by camera plug-in power – min 3V so you have all you need for a great filming and you need not care about its power when recording. Don’t ever go wrong with other cheaper shotgun mics because they are not worth your money. They even don’t deserve the shotgun name when causing your video stuck with a lot of background sound. Audio-Technica AT2020 is one of the best budget condenser microphone for YouTube music recording. I must admit that in this list of the best mics for YouTube, I do save the best for last. As you know, I love singing and playing instruments so I really appreciate Audio-Technica AT2020 when it’s extremely good for recording music. Its outstanding vocal quality helps explain why so many DIY artists use this mic for filming music videos. However, this mic is very sensitive so if you are using it for singing, live commentaries, podcasting, voice over, or whatever, a quiet room and a pop-filter are required. By far Audio-Technica AT2020 is the best $100 mic for YouTube. Honestly, I love the sound of Audio-Technica AT2020 more than some condenser mics that are sold for $500+. But, I hate to say this word, but this mic is a true condenser microphone so it does require a full 48V phantom power. It means that you should plug it into a 48V phantom power to make it work. I highly recommend this affordable 48V phantom power: BEHRINGER U-PHORIA UM2. Plus, if you’re serious about recording vocal singing with this mic, you should choose a decent audio interface. Follow this link for Top 5 Best USB Audio Interfaces under $200 for a small home recording studio. Part 2: What Is the Best Microphone for Recording YouTube videos? Audio is crucial for a great YouTube video. Whether you are a streamer, product reviewer or a vlogger, if you ignore the audio, it will be the biggest mistake that you ever made. Because in most cases, the quality audio will take more than 50% success of a video. As far as I’m concerned, a decent mic need not be a very expensive one. … knowing your recording needs! Yes, the most important thing you should remember before choosing mics for your YouTube channel is each type of situations requires a dedicated mic. or home studio recording such as streaming, vlogging, voice overs. Of course, you can absolutely use internal microphone of dslr cameras and smartphones for YouTube videos, but that kind of mics is not optimal for specific activities. Mostly, the sound recorded with internal mics are usually too robotic, too small, and the mess of ambient sound will drown out your voice. The internal mics are built-in cameras, smartphones, action cams. Most of these mics are omnidirectional microphones. Omnidirectional microphones pick up sounds from all directions (from the front, back, left or right side) of the microphone. It means that you can also pick up ambient noise. I used to use a built-in microphone on camera and smartphone while recording video in crowds. And of course, the audio quality can’t get any worse. So when you use an internal microphone? The internal mic is suitable for recording at quiet places such as countryside, nature wildlife. Lavalier microphones are small and attached to collar or clothing by a clip. These mics are best for vlogging because it allows low sensitivity and picks up sound at close range. As a result, you will reduce background noise easily. The drawback is you need to plug lavalier mic into a handy recorder such as Zoom H1N. And then, you will have a separate audio file. You have to sync the audio and video clip together in post-production. If you record vlogs with your smartphones, you don’t need a handy recorder. Just plug lav mic into your smartphone easily via a 3.5mm jack. One of the best lav mics is Rode Smartlav Plus. Personally, I would like to combine Rode Smartlav Plus with IPhone 6 plus and pleased I did. The audio quality is improved so much, thanks to Rode Smartlav Plus. Note: Some Lavalier microphones have TRRS port for smartphones and other is TRRS port for cameras. So you can buy an extra Rode SC3 3.5mm TRRS to TRS Adapter if necessary. Shotgun microphones are directional microphones. It means that a shotgun mic is only sensitive to sounds from the front, and it can only pick up sounds from this direction. Therefore, you have to point shotgun mics directly to target sounds for pick up decent audio. Longer a shotgun mic’s body is, the better and more accurate “directional” is. Rode videomic Go is lightweight and best for on-the-go vlogging. Rode videomic Pro plus has some advanced functions for using it with DSLR cameras. In short, they are both very good sounding shotgun microphones. So, how to use shotgun microphones efficiently? Depending on each situation, you can combine a shotgun mic with a handy recorder, or plug the shotgun mic directionally to your camera. If you use your shotgun mic with a handy recorder, you have to sync the audio and video via video editor software. 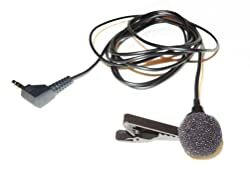 The wireless microphones are normal microphones such as Lavalier microphones and Shotgun microphones above but without a physical cable. These microphones plugged into transmitter device, and receiver device plugged into cameras or handy recorders. The audio from transmitter device is transmitted to a receiver device via wireless signals. Using wireless microphone is an efficient way of recording audio from a distance. For example, entertainers or interviewers can move about freely as their voices are amplified. If you are looking for a best handy recorder for vlogging with reasonable price, I highly recommend Sony TX650 and Zoom H1n. Sony TX650 is very small, lightweight, and many functions. You can attach it to collar or clothing easily. Zoom H1n allows you to adjust the sensitivity when recording audio. Although it is a built-in internal mic, it does support external mics. Of course, you can use your smartphone as a handy recorder as well. However, the audio quality can’t be as good as Sony TX650 and Zoom H1n. So the answer to the question: “How do I record good quality audio for vlogs?” is flexible. First of all, you need to know what and where you want to record audio, and then choose the right type of microphone for your project. Phew, it’s a long post but nothing can kill a video like a bad audio. And nothing can benefit a video like great audio so I decide to share this list of “10 best microphones under $100 for youtube videos” with you. Which mic suits your YouTube channel? Let me know if you post a video with your microphone!